Make today a pink one with this unique pink floral and creme arrangement. 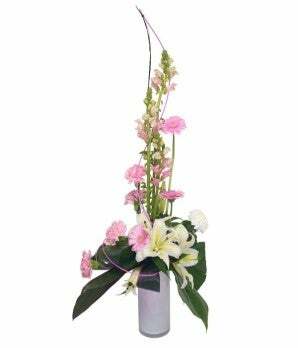 Decorated with antirrhinum, gerbera daisies, lilies & carnations it's a great gift for the person in your life who loves pink. Delivered in a modern colorful vase to make this a wow gift. Available for international flower delivery.